You’re reading novel The Demonic King Chases His Wife: The Rebellious Good-for-Nothing Miss Chapter 1411 online at LightNovelFree.com. Please use the follow button to get notification about the latest chapter next time when you visit LightNovelFree.com. Use F11 button to read novel in full-screen(PC only). Drop by anytime you want to read free – fast – latest novel. It’s great if you could leave a comment, share your opinion about the new chapters, new novel with others on the internet. We’ll do our best to bring you the finest, latest novel everyday. Enjoy! "The person that has the spirit blood?" "Grandmaster Rong Yun's last disciple!" In the wake of each of her ident.i.ties being spread out, now, the entire populace recognized Su Luo. Su Luo slanted Lan Xuan, this fool, a displeased look. Was it glorious to be recognized under such circ.u.mstances? It just so happened that her teacher is Grandmaster Rong Yun and Grandmaster Rong Yun just so happened to be the head judge. Alas, this seed that was planted in the squash field. "Sister-in-law, why do you look miserable? There is a big handful of crystal stones ah, let's go. We should immediately go to Jade Lake's Li family to get it." Lan Xuan, this impatient child, couldn't even wait for one moment more as he busily urged Su Luo. Su Luo repeatedly smiled bitterly in her heart, but her face remained motionless like the mountain, calm and unperturbed. "Yes, we ought to go and take back the money we won." Su Luo confidently handed the sign over to the host. Then, she patted her hand and, under the attention of the hundred thousand people present, she calmly walked off the stage. She walked towards the booth the Jade Lake's Li family had set up for betting. "She really has the nerve ah…." "That's right ah, clearly she cheated…"
"Who cheated? How did they cheat? This is called luck okay? Don't you guys understand?" If there were people that slandered, naturally, some people would come to fight for justice. "This was merely good luck." Some people muttered, not accepting it. "What's wrong with having good luck? Didn't you hear what the host said? Luck is also a part of strength! Then, how was it that out of two hundred people, she just so happened to draw number thirty-six? Before the start of the compet.i.tion, who knew whether number thirty six would come or not?" There were two groups under the stage, one group supported Su Luo, the other group would attack Su Luo from various angles. But Su Luo completely ignored all this, she only unhurriedly stopped before Jade Lake's Li family's booth and took out the receipt that Beichen Ying brought on her behalf. "One hundred pieces of green-colored crystal stones." Su Luo's lips perked up into a ghost of a smile. One hundred green-colored crystal stones weren't that much. But it was enough to cause Li Yaoyao heartache. Watching the booth was a youth no more than eighteen years old. He hesitantly looked at the receipt in Su Luo's hand, and his gaze uneasily glanced towards the direction of the second floor. This was a hall that was two floors high. There was a very thick curtain hanging over the doorway to the second floor, but Su Luo could feel a malicious evil meaning shooting towards her from that direction. Su Luo's senese was so strong that in an instant, she knew Li Yaoyao sat on the second floor. Should she directly eliminate Li Yaoyao? Su Luo still shook her head. Everyone knew she and Li Yaoyao was like oil and water, if Li Yaoyao was to die here now, the suspicion on her would be very big. 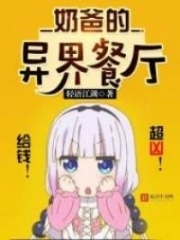 Su Luo unhurriedly leaned against the sales counter, the mocking smile at the corner of her mouth increasingly expanding: "What? Jade Lake's Li family can't afford the loss?" A trace of anger flashed through that youth's eyes: "Who said Jade Lake's Li family can't afford the loss? Humph, humph, some people, in order to win, really will do anything!" n.o.body had thought that at this time, the always smiling and easygoing Su Luo, would actually immediately turn hostile:"What's the matter with this bet that Jade Lake's Li family set up? Shouldn't you be paying money for the loss? To deliberately falsely accuse other people, actually to say the compet.i.tion has dirty tricks. Then who dares to bet here ah? Everyone, am I right or not ah?" Immediately, a lot of people also followed in agreement. It's not because they all supported Su Luo, rather, they all placed bets here at Jade Lake's Li family. At the time, if Li family didn't pay out, that loss was not only one person's, this concerned their benefits ah! As a result, each and every one of the gamblers started to stamp their feet and rain curses upon the booth. You're reading novel The Demonic King Chases His Wife: The Rebellious Good-for-Nothing Miss Chapter 1411 online at LightNovelFree.com. You can use the follow function to bookmark your favorite novel ( Only for registered users ). If you find any errors ( broken links, can't load photos, etc.. ), Please let us know so we can fix it as soon as possible. And when you start a conversation or debate about a certain topic with other people, please do not offend them just because you don't like their opinions. You're reading The Demonic King Chases His Wife: The Rebellious Good-for-Nothing Miss Chapter 1411. This novel has been translated by Updating. Author: Su Xiao Nuan,苏小暖 already has 6226 views. Current Time is Apr-19-2019 16:55:01 PM.